Happy Monday! I hope you have all had a wonderful weekend! Our weekend was filled with too much food (chicken and dumplings, queso and chips, pizza, mac and cheese, bacon, and mint chocolate chip cheesecake), shopping, a trip to the farmer's market, finishing up our Christmas lights and decorations, and some much needed family time! 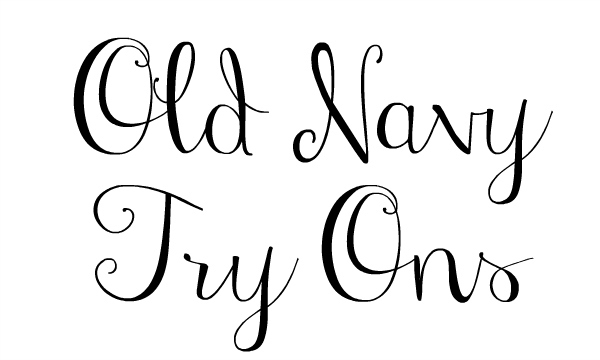 Today, I'm sharing my latest Old Navy try ons! 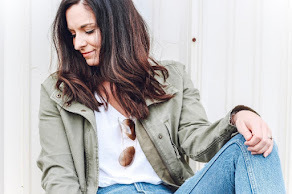 Below I'm sharing some of my current Old Navy favorites plus fit information. I always love their budget friendly stylish pieces! Footwear at Old Navy only comes in whole sizes so fit can be super tricky for those of us who wear a half size. I'm normally an 8.5 but the size 8 worked for me in this sparkly flats. This sweatshirt is so soft and so cozy! I sized up one size to a medium and I love how it fits. Such a great closet staple that can be dressed up or down! 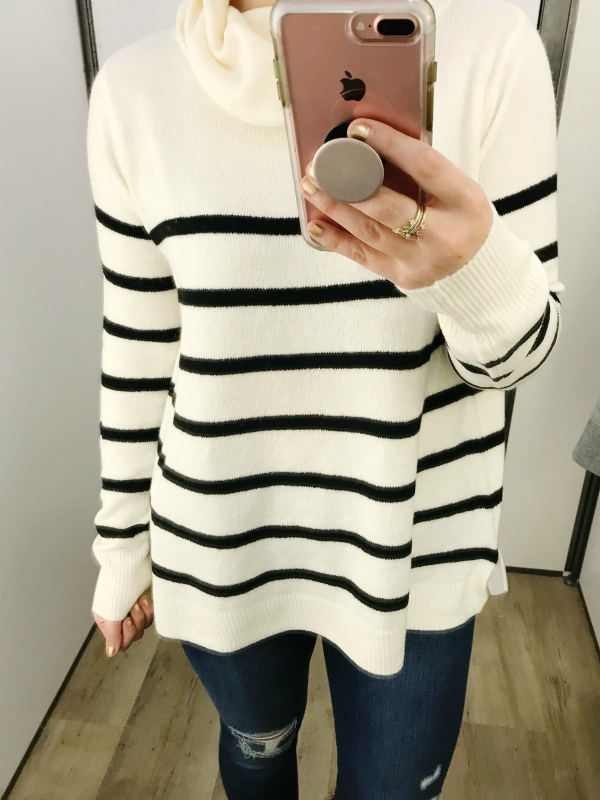 After I tried this sweater on, I had to have it! The fabric is such good quality and super soft. I tried on a size medium but I ended up ordering a small in a tall size online to wear with leggings. This sweater does fit true to size. 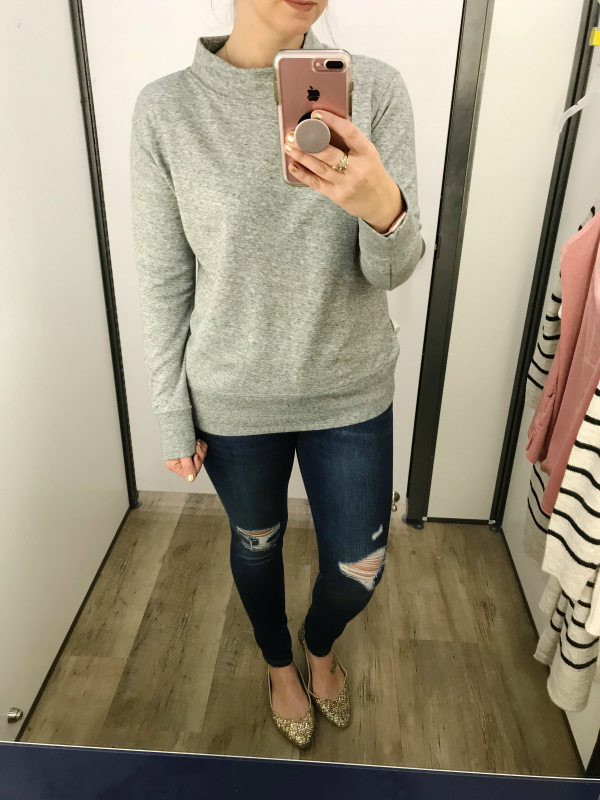 The jeans fit true to size and are so comfortable! I'm wearing a size four in the denim. 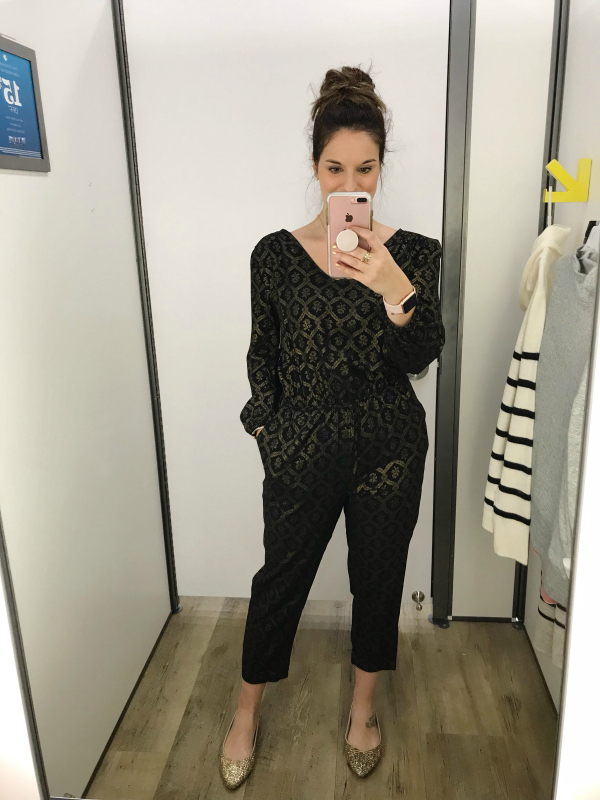 How gorgeous is this jumpsuit?! It would be so pretty to wear for your upcoming holiday events with a pair of black heels and gold statement earrings. I tried on a size small and found it to fit true to size. This is such a great cardigan, especially for the price! The quality is amazing and it's so cozy. 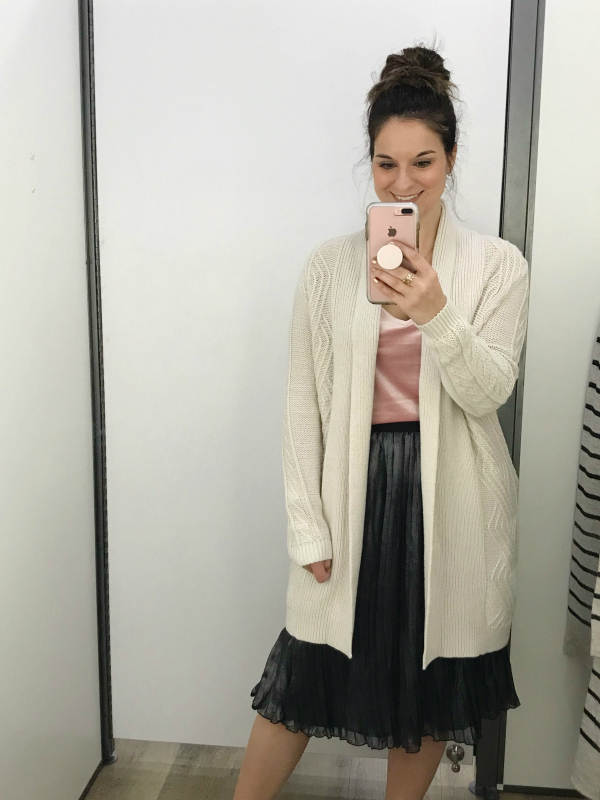 I tried on a size small in the cardigan and it definitely runs true to size. The skirt is so perfect for the holiday season! It also fits true to size and I'm wearing a small. 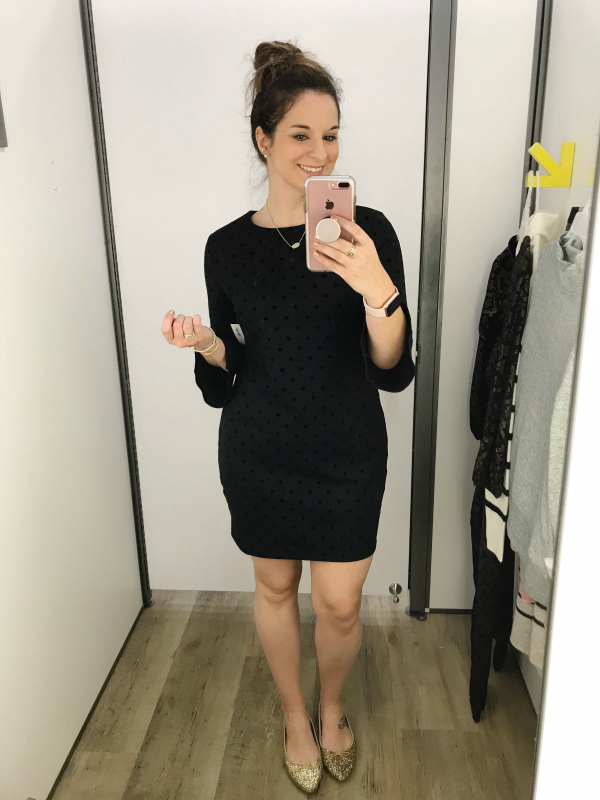 This is such a cute dress! I love the sleeves and the polka dot detail. This is another great holiday dress up that would be so cute with glitter heels and some extra sparkle! I tried on a small and it was pretty form fitting. I would recommend sizing up one size in this one for the perfect fit. 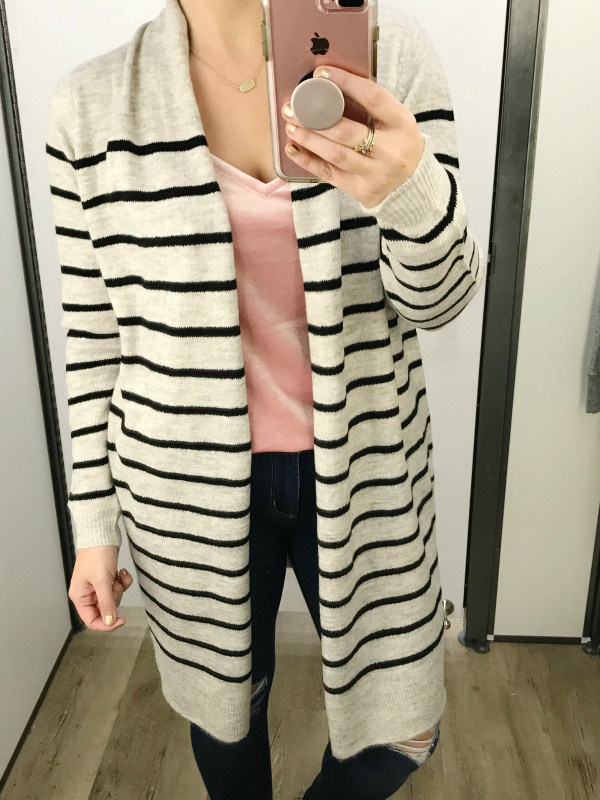 This striped cardigan was one of my favorite items that I tried on this week! It's such a classic piece that you will get so much use out of. I love stripes! The cardigan and the super soft velvet cami fit true to size. I'm wearing a size small in both. Super cute outfits! 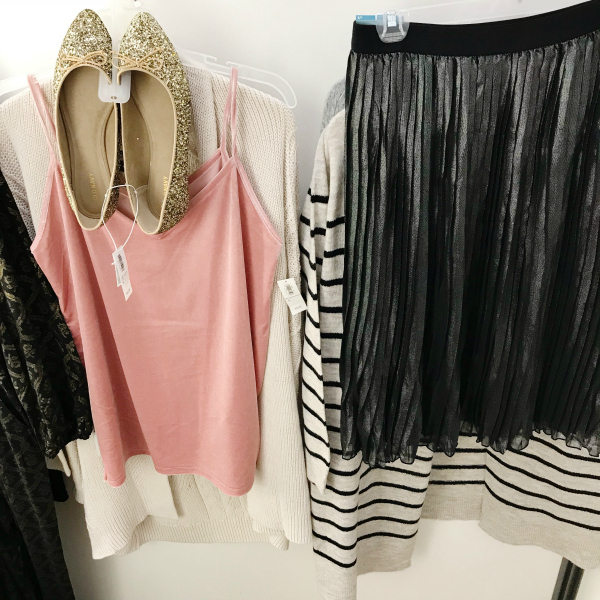 I love your Old Navy try ons! They are so fun :) I love Old Navy!!! Funny I am wearing that polka dot dress today and it was $10 at my store several weeks ago! It must have been an online return or something that they marked down.